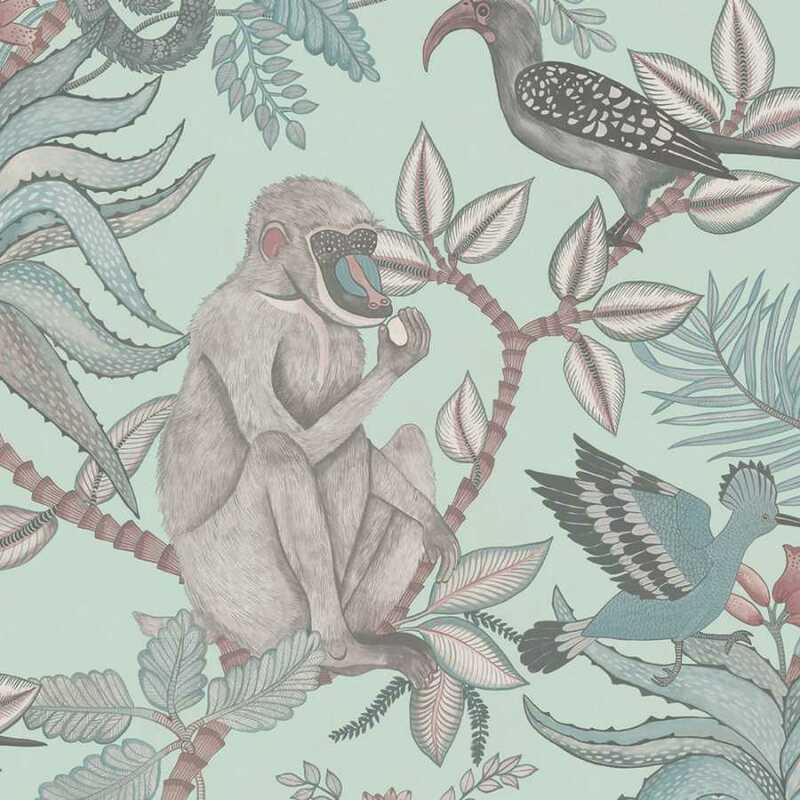 Exuberant and offering a slice of authentic African wildlife, this Savuti Wallpaper is named after one of Africa’s most loved and popular national parks and captures the essence of this beautiful African garden. 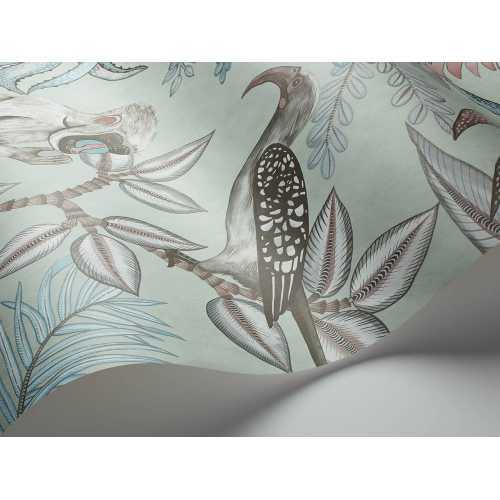 The Savuti design is part of the Ardmore Wallpaper Collection and this whole range has come about through an exciting collaboration between Cole and Son and Ardmore Ceramics. The result is a stylish and striking collection of wallpapers which capture the spirit of Africa, its art and culture. The Savuti Wallpaper by Cole and Son brings a sophisticated, smart and statement look to your home. 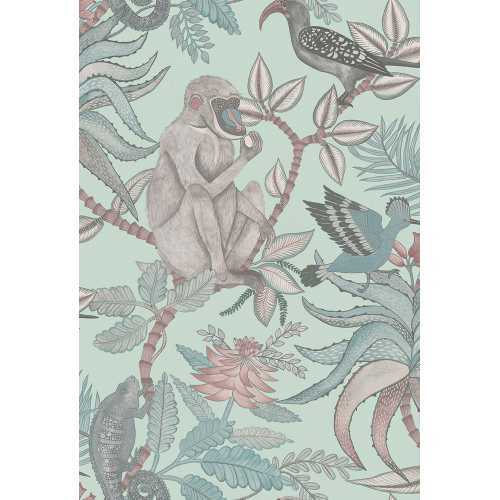 Large Coral Trees dominate the design with hoopoes and hornbills flying around them and large characterful baboons and chameleons nestled amongst them. In this 109/1004 colourway, the Savuti wallpaper is in a bright, vibrant blue with the graphics picked out in authentic complementary tones. Each roll of Savuti wallpaper measures 52cm in width and 10 metres in length. It has a half drop pattern match and a 76.2cm pattern repeat. If you want to find out more about the designers behind this piece and would like to explore the rest of their collection, please visit our Cole and Son brand page.